If you start getting these kind of error messages, the first thing worth doing is to check the voltage on test points TP1 and TP2. I’ve marked them in the title image of this post. The voltage between them has to be as close to 5V as possible. Mine was showing 4.6V and that appeared to be the main cause for the errors. Just as soon as I switched to another power supply that showed 4.85V between the test points, everything started working as expected. You are welcome! Happy it sorted out your problem. I still got random freezes after a while with a bit of intensive CPU usage so I suspect that the 4.85V was still not enough to run it reliably. It really has to be 5V and quite high end power supply to produce it. I am using an official power supply from RS online and still getting this error after a while. To my RasPi is only connected ethernet cable, nothing more. It is weird. Only transmission-daemon is running in the background. 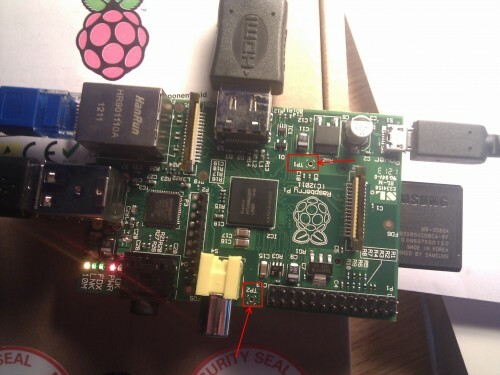 What’s the voltage between the test points on your RasPi? I will try to stop transmission-daemon and keep run RasPi without any load over the night and tomorrow I will see. 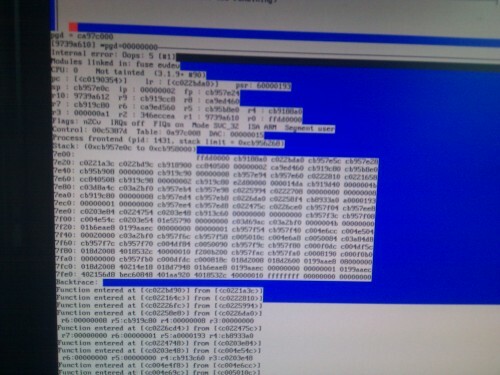 Maybe its caused because I dont have any swap partition. I also noticed that my RasPi was having trouble working under load, but all it was doing just displaying some pictures on the screen. Transmission might be too much for it, especially with lots of IO operations. So the night is over and RasPi is still running. It looks that transmission is the problem. I will try to limit download speed and number of connections. Maybe different torrent client. Thanks for taking your time to notify me. It appears that my suspicions are correct: RasPi has some issues on intensive tasks. I’m still wondering if it’s going to be fit for torrent downloads. I thought I have a solution in limiting upload od 1kB/s and download at 500kB/s, but still gives error. Now I have tried to limit download to 250kB/s and RasPi is still running. If it will give an error, I will try to transfer files from PC in LAN to RasPi to find if it is network problem or just problem with Transmission. Maybe I found the solution. I updated firmware and increased RAM to 224MB. Now, RasPi is running 2 hours without any freeze.